This Thursday I’m reading a new short story at the University of Alberta’s Modern Languages and Cultural Studies Graduate Students’ Conference here in Edmonton. Everyone’s welcome! I’ve been in and out of this door since the 1990s but hadn’t noticed this owl reading a book carved over the door until my husby pointed it out this Fall. Showing off would only set us up to look even stupider than necessary when the moments come for us to make dumb mistakes as school. Everyone messes up sometimes, especially people re-adapting to an educational system which had just about passed them by. The quicker and more good-humoredly we admit, own, and laugh off our mistakes, the more likely we are for other people to let them go too and maybe even to look out for us next time. Frankly, there is less social and academic peril in letting people think you’re a tiny bit stupider than you are than in letting them think you’re much, much smarter than you are. Go ahead and be cool. As far as I can tell, there are two kinds of cool: selfish cool and selfless cool. When I was young, I admired the heck out of selfless cool people (I’m looking at you, Angie Dahl) and wished I knew how they did it. I think both kinds of cool include elements of not being overly anxious about taking social risks—even little risks like talking to strangers or to a room full of people—and taking those risks with ease and confidence. In cases of selfish coolness, this confidence is maintained by pre-emptively lashing out with cruel humor, abuse, or the shunning of those who would call into question the coolness. In selfless coolness, this confidence is maintained with warmth, sincere praise, and believing people are good and wish us the best until they actually do. The ease with which those kinds of feelings come is the best thing about being an old broad at school. I spend all day in a place where everybody is brilliant, beautiful, and loveable. School has always been this way, and now I am finally old enough to know. I remembered them from my days as a twentysomething undergrad: certain “mature” post-secondary students heck-bent on sharing their wisdom and experience. They stalled lectures, dominating professors’ attention with “the adults are talking” airs or by questioning everything professors professed—because what do those ivory-tower hacks know anyways? This winter, I took a class called Advanced Creative Writing at my old university. It was a writing workshop—my first. Though I’m firmly on the path of free-range writing rather than a hot-house writing, it’s okay if my range overlaps a hot-house for a few hours every week. As I walked up the Humanities Centre stairs, I knew I didn’t want to be “that” mature student. I said so when it was my turn to introduce myself to the class. My professor, a talented author who had kindly waived the portfolio prerequisite because he’d already read my novel, stopped me and told the class I was there “to help” as well as to learn. This was generous of him. I’m not sure how well I walked the line between helping and infuriating my classmates. I’m pretty sure I used the phrase, “I already graduated, what do I care?” too many times. Naturally, I gravitated toward class members most like my sons and my youngest sister. Though familiar, this was not my usual writing crowd—far from the scene of a Linda Leith Publishing vin d’honneur—but the honor of being among talented people before they’ve made it (whatever that means) wasn’t lost on me. In the end, I managed to leave the course with a good though moot grade, one hug, and some sweet goodbyes. Now that it’s over, no more restraint. Here’s the list I’ve suppressed all semester—the things Mama Mature Student would have told the class if she hadn’t been checked by all this dang self-awareness. It’s not that I wasn’t asked questions—one about episiotomies leaps to mind—but the full force of my advice rampage has been held back until now. Be nice – This echoes the university’s writer in residence who visited our class. He went so far as to recommend we read How to Win Friends and Influence People. It’s not bad advice. Some of the most cringe-worthy things I can’t forget myself saying were said in my early twenties. Remember Franzen made his name before the social media age, back when authors’ rough styles could be easily managed by publicists. Personal scrutiny has never been closer than it is now and in a competitive arts world full of very good work, a skill like not openly rolling our eyes might be a career tipping point. Unfortunately, arts careers are a little like small businesses and our personalities can combine with our art to form an unsightly hybrid product that’s difficult to sell. Take heart. Canadian literary communities, particularly the Alberta one with which I’m most familiar, tend to be collegial. We cheer one another, writing blurbs and retweeting announcements along the way. It’s easy to be nice here. Be generous – Our professor held a book launch during the semester and only three of us came. Not cool. Go to local book events. We don’t have to buy all the new books (with writer wages, we probably won’t be able to) but realize that many authors arrive at their events convinced they’ll be facing a room of empty chairs, peppered with a few blood relatives feeling sorry and embarrassed for them. If at all possible, do not let this happen. Anyways, it’ll be fun. It’s moving and fascinating to hear people offering vocal interpretations of their own work—not work they’ve been picking at for classes but work they’ve toiled over for years, work they’ve staked their futures on. Go ahead and laugh at their jokes, gasp at their horror stories. Weep openly, if you feel like it. Events are more fun, more productive, and more satisfying when we invest ourselves in them. Don’t take the workshop process too seriously – I am an old woman raised in the pre-Elmo golden age of Sesame Street and one of my favourite characters was Don Music. He’s an angsty songwriter we find one word shy of completing perfect nursery songs like “Twinkle, Twinkle Little Star.” When his near-perfect songs get “help” from a visitor, they get mangled into parodies with details that make so much literal sense the artistry of the songs become absurd. Our workshops were like that at times. I saw (and benefitted personally from) great suggestions coming from workshop discussions. However, I also saw classmates balk at truly powerful and original aspects of their stories because of well-meant questions these risks raised during workshops.Critique is a vital tool in writing but so is the discretion to resist pressure when it’s pushing a story in the wrong direction–when we know it’s time to depart from expectations. Remember the lessons of Don Music. Don’t take your parents too seriously – Everyone’s parents betray them in some way. That’s the rule, not the exception. We all sit down to write reeling from that trauma. But look at where we are. We’re not roughneck-ing in the oil patch, we’re in university. We’re in university not to get a traditionally marketable skill like teaching or engineering. We’re in the Faculty of Arts. And we’re not just in the Faculty of Arts, we’re studying the fine art of creative writing. There are reasons we are here and our parents are probably among them. Maybe they hate this field. Maybe they deserve to become caricatures lampooned or eviscerated in fiction. But they also deserve a nod for the privilege we enjoy as people having a go at an expensive, elite liberal arts education. The idea that this privilege is universal regardless of the circumstances and people we were born among–even in Canadian society, it’s false. Explore the free range – Make sure life is built upon pillars other than reading and writing. Duck out of the academic hot-house for a while–and not just through travel stunts. The daily grind is an excellent teacher. Some of the most interesting fiction in the class came from people who work part-time in stores and bars, in the real world where they form and sustain relationships with people nothing like themselves. There was great sensitivity in the class. Sensitivity to our own feelings needs to be augmented by sensitivity to other people’s feelings or it will never be enough to make our writing real and potent. Empathy is everything. As the man says, “You can’t write if you can’t relate…” Love people—everyone. That is how they are known. That is how they will come to know and love you and your art. 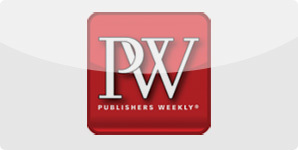 This week, my little Canadian novel was reviewed in Publishers Weekly. (I know, right? Read it here.) The review isn’t long but it is perfectly positive. The reviewer isn’t credited by name in the online version I’ve seen but she or he was thoughtful and insightful enough to have me Googling a few of the terms used to describe my own work. The first was one of those words that’s still vaguely familiar from my Arts degree days — those spellbinding lectures on Jungian psychology at the base of the Tory Tower. Somewhere in scrolling through the fanciful vocabulary of archetypes scrawled on the overhead projector film, the meaning of this term slipped out of my consciousness. It’s “psychopomp.” It doesn’t sound like a nice thing to be called but, as I now remember, it means a creature who serves as a guide to souls — newly deceased souls in particular but also the newly born or anyone unmoored. As the PW review points out, my novel’s main characters are psychopomps. I had never thought of them that way before but it’s certainly true. The second term I had to look up was completely new to me: mono no aware. Though it’s tempting, don’t try to use an English or Latin vocabulary to decode it. It’s a bit of Japanese philosophy and translates into something like “the pathos of things.” The idea is that instead of the bittersweet knowledge that this world is transient making us morbid and jaded, it moves us to reverence our lives and experience them as poignant rather than mundane. I’m no scholar of Japanese philosophy but I think it might be the opposite of the Western ennui that makes up so much of literary thought right now. Whatever it is, I think I need to find my old, water-stained copy of The Tale of Genji and read it again. I’m usually fairly pragmatic and cringe at the conceits and the headier romance of writer-life. I don’t have much of a stomach for elitist memes and other silliness bent on making embarrassing overstatements about writing and writers. But there is something genuinely sublime about art — even the quiet, tappity-tap, within sight of my laundry hamper art form of my own. At its best, art is a miracle. And we bow our heads, grateful and baffled that whatever it is that makes miracles would stoop to involve people like us.